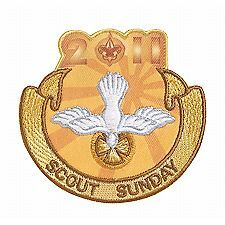 Troop 101 will be attending the 11:00 a.m. service at Gloria Dei Lutheran Church (1515 Harrison Avenue). If you wish to carpool, meet the old Fire Station no later than 10:30. Following the service, we will go to Dirty Dave’s for Pizza. Parents can pick up Scouts at 1:15ish. 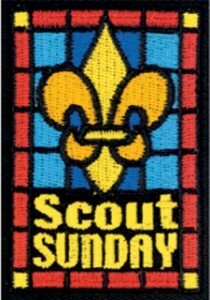 And, for those who attend this event, you will receive the 2011 Patch! This entry was posted in Uncategorized and tagged Boy, Duty, founding, gloria dei lutheran church, lord baden powell, middle 1940s, old fire station, scout sunday, Scouting, worship. Bookmark the permalink.